I thank Nilu A for passing on to me this award. This is the second award from her. She had awarded me with ABC award earlier. I thank you with all my heart. 4. Contact the people you’ve picked. 1) I like to learn about everything, be it anything. It gets difficult sometimes, but I cant stop to learn. 2) I believe in Karma. Have experienced it too. 4) I never and ever give up. If I think to do something I will do that by hook or crook. 5) I am an atheist. 7) I bite my nails. • Brendan of Brandy,whiskey and all that. • Jiggyasa of shrimaan shrimati. Congratulations on the award and I'm honoured that you would nominate me for the same! Congratulations to You and Thanks for selecting me. 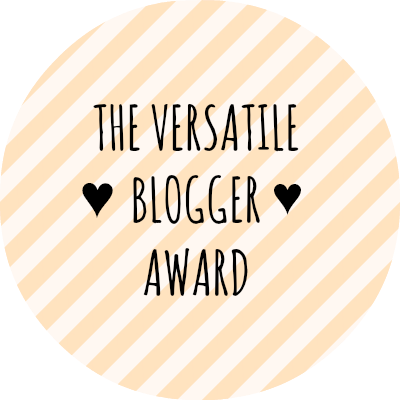 Thank you for rewarding me the versatile blogger award.